WOODSIDE, Queens (WABC) -- A person who police said tried to steal a teenager's cell phone, was struck by a subway near the 65th Street station in Woodside Tuesday morning, causing several subway delays. Around 7:40 a.m., according to the MTA, a man took a 13-year-old boy's cell phone on a Manhattan-bound M subway. Another customer attempted to intervene, but the suspect punched the customer in the face. 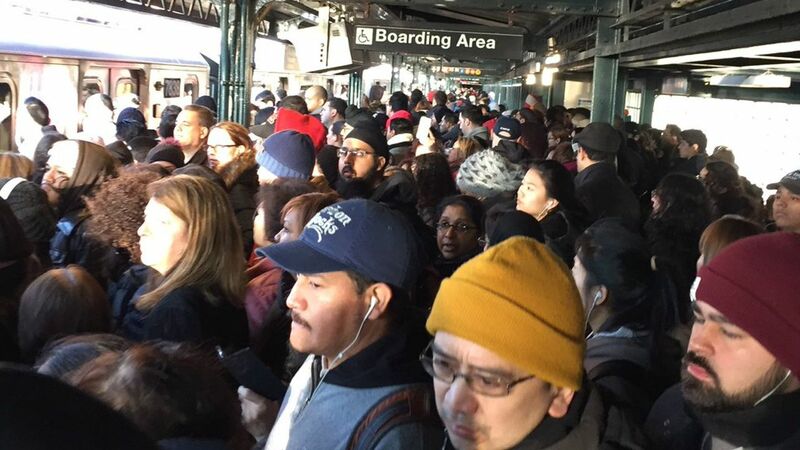 The confrontation spilled onto the platform when the train stopped at Northern Boulevard. The MTA reported that the suspect, who was wearing a cast on his arm, ran away, fleeing into the tunnel toward 65th Street. The operator of a 179th Street-bound F train then reported that he heard something strike the side of his subway just south of 65th Street. He stopped, and discovered a person lying on the adjacent express track, with minor injuries. Power was cut, causing two northbound trains to stall. The suspect was able to walk, and was taken into custody and brought to Elmhurst Hosptial. 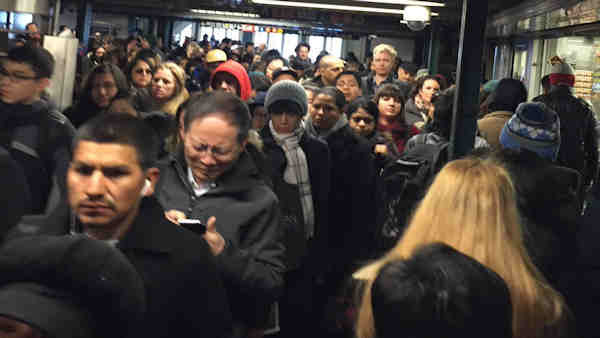 Power was restored around 9 a.m. Due to the incident, E, F, M and R train service were canceled, then resumed service with extensive delays.